In celebration and thanksgiving for All Hallows’ bright shiny new toilets (hurray! ), we’re christening them with a curry night of delicious Bengali food on Friday 19th April (non-spicy option also available) and fundraising for our friends in La Concha, Nicaragua at the same time. All Hallows has a long standing link with La Concha, a beautiful area of Nicaragua near the Masaya volcano. Many families there don’t have basic sanitation. Leeds Central America Solidarity group works with the Nicaraguan Community Movement to provide families with the materials for building a latrine and support to do so. Nicaragua has had a very tough time recently and as always, it’s the poorest who are hit hardest. Having adequate toilet facilities can literally be a matter of life and death – it’s not just important for the family themselves, but for the whole community. Tickets are free to book and then you pay what you feel the evening was worth on the night. If you book and then can’t make it please cancel your ticket as these nights are usually fully booked. 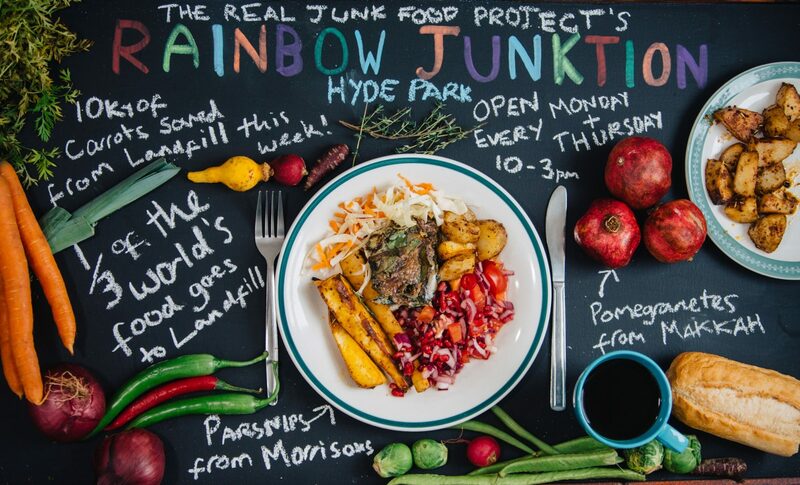 Please join us on Friday 29th March 2019 from 20.00 at the Rainbow Junktion Cafe, All Hallows Church, 24 Regent Terrace, Leeds, LS6 1NP.The Rainbow Junktion Community Cafe will be hosting our 2nd fundraising dinner to support people seeking asylum. Dessert will be served before 22.00, so if you need to dash off don’t worry, but you can also stick around to enjoy the night. The profits from the bar will also go to the fundraiser, but if you prefer you can BYOB. This is a CASH ONLY event, so don’t forget to bring money on the night. (nearest cash machine is a 10 minute walk). Harmony Choir – a lively, cross-community choir that has grown into a vibrant, committed and friendly group, performing several times a year at local events across the city and beyond. https://harmonychoir.org.